Former New Orleans mayor, best-selling author of "In the Shadow of Statues" visited UT Sept. 18. Sept. 6, 2018, AUSTIN, TEXAS — The LBJ School of Public Affairs and the Annette Strauss Institute for Civic Life at The University of Texas at Austin welcomed former New Orleans Mayor Mitch Landrieu to the UT campus on Tuesday, Sept. 18. 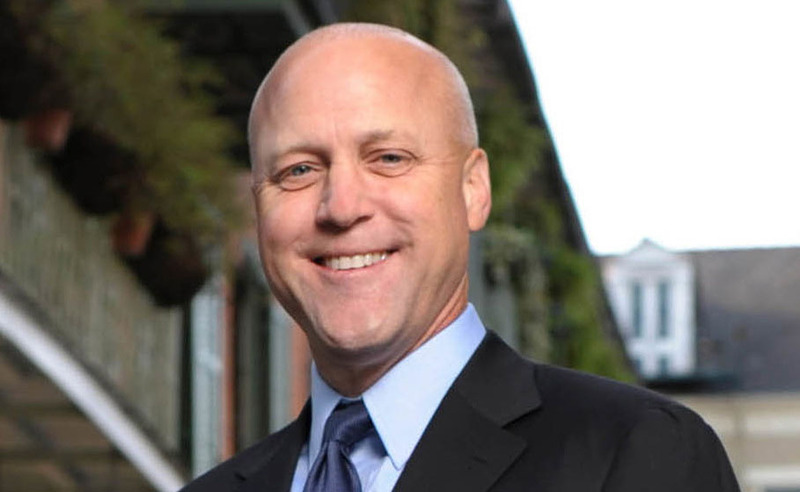 Angela Evans, dean of the LBJ School, led a conversation with Landrieu at the Texas Union Theatre from 12:15 to 1:45 p.m.
Before his tenure as mayor, Landrieu served two terms as lieutenant governor of Louisiana and 16 years in the state legislature. He recently launched the E Pluribus Unum Fund to work to bring people together across the South around issues of race, equity, economic opportunity and violence. The LBJ School of Public Affairs, one of the nation’s top public affairs schools, makes a difference, not only within the walls of academia, but also in the public and social dialogue of the world. Contributing viable solutions to society is the LBJ School’s legacy and its benchmark. Its effectiveness in channeling the purpose and passion of students into professional careers is evident in the success of more than 4,000 graduates who are the living legacy of President Johnson’s bold and fearless action. The Annette Strauss Institute for Civic Life exists to cultivate informed voters and active citizens through research, education and outreach programs focused on three key pillars: civic discovery, young people and civil dialogue. Dedicated to applied research, the institute focuses on how new technologies of communication and innovative outreach can be used to increase political understanding and participation. For more, contact Victoria Yu at 512-232-4054.